Cloned from db Drops by beate. See also db Quirlo Mix by beate, db Quirlo Inline by beate. 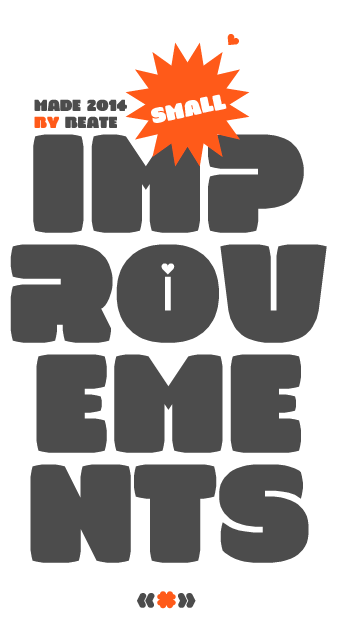 Sans Serif for Poster or other funny things. Info: Created on 9th May 2014 . Last edited on 12th May 2014. 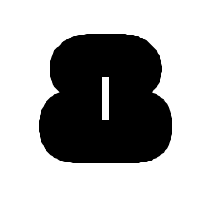 Ha, only one thing, I feel the "8" is less suitable from the rest of the numbers. I think you can make it has an island like "0". By the way, where can I buy your collection of gorgeous fonts, do you post it somewhere? Amazing! The sharp corners in the middle of Y could be rounded though. This has a warm, cuddly feel to it - it's excellent! @beate: Congrats for the font! 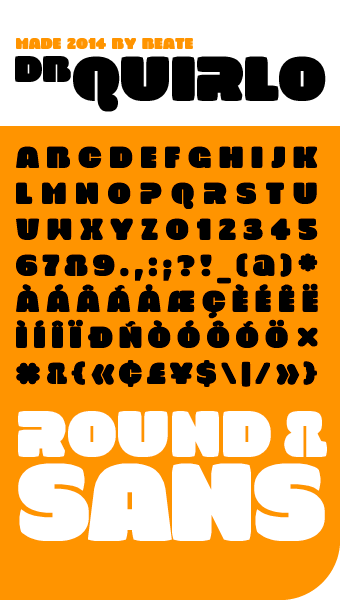 I like this kind of rounded sans like yours! Modern, usable, funny, genial! @cable: Are you talking about something like this? (I add a sample). BTW, I've used the same solution for the 8 in some of my fonts (I remember "zpido eYe/FS", 2nd. sample, please). Oooopps! 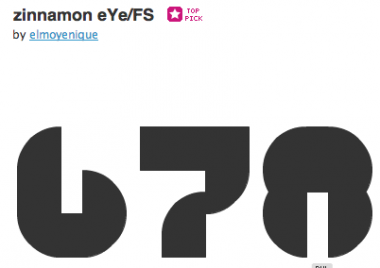 Sorry, "zinnamon eYe/FS" was the definitive name. btw. is a lowercase possible in a short time? I thought that that @ sign was an 'a', and it looks like it would make a very good a, but unfortunately I can't see its likeness to @. I think, as "a" it would be too big for this font. The "a" would look a little different. I love the thick curves, and I especially love the "Q". Beautiful. So much to love here...the tail of Q and how the top and bottom of the S and 3 follow the inner curve. One tiny critique...maybe the 4 could have a small opening (like the 9) or even a slot starting at the top going to the middle (like the X)? Yes, maybe : ) You are right. Thanks.